This cheeky piece of artwork has been commissioned for a new cafe that’s soon to open in Hoylake. 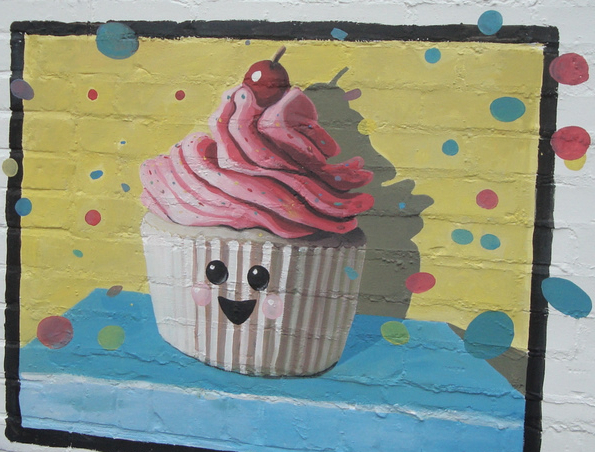 Painted secretly (I think) this weekend by Hoylake artist Micheline Robinson the cupcake can be seen on what will be the Cupcake Cafe, located in the building next to the Holy Trinity School car park. Micheline has wondered if the artwork manages to create the strong 3D effect that she was after? Have you popped along and had a look …what do you think?